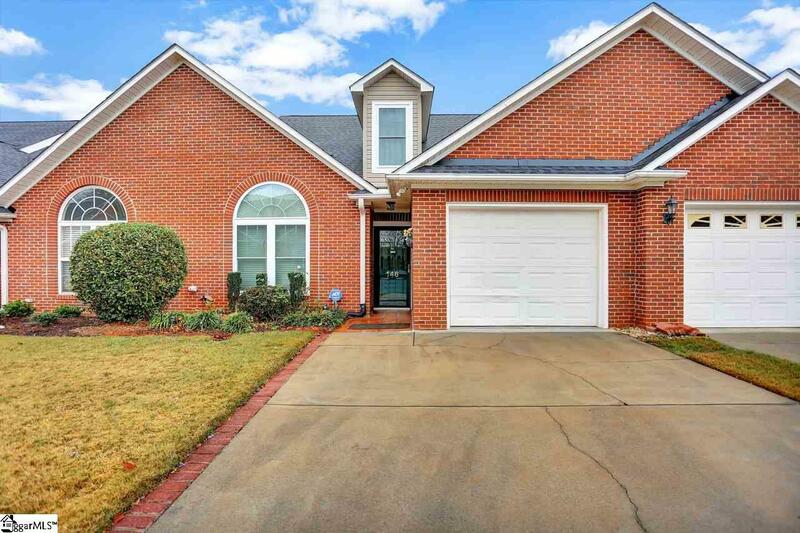 Cute all Brick Townhome has a great open floor plan with great room, dining room, sunroom, kitchen and two bedrooms and two baths on the main floor. Upstairs you&apos;ll love the additional 2 bedrooms and a bath. One is definitely large enough to be a bonus room however it has a nice size closet, with additional attic storage. The master bedroom on the main level has a garden tub with a separate shower a double sink and walk-in closet as well. The cute sunroom is great for enjoying the morning with a nice cup of coffee or reading a book! There is an additional storage room off the sunroom. Entertain your guests outside on the patio this summer. This is a must see Townhome if you are looking for maintenance free living. Cooper&apos;s Lake HOA provides exterior lawn maintenance, exterior building maintenance. These are so rare at this price point, don&apos;t miss out on this one!